WE OFFER THE BEST DEAL IN LOS ANGELES AREA FOR EUROPEAN TIME BUILDERS ! WE EVEN PROVIDE ACCOMMODATION ! Looking to build your flight time before beginning commercial training ? We have the package you need. - A highly touristic area to please your wife and children if they stay on the ground while you are in flight ! - Direct flights to LAX airport from almost anywhere in the world to have friends and family visit you during your time building ! - The best and most efficient way of acquiring full english radio proficiency ! As you are about to live for a few weeks far away from home, we want you to feel just like home and focus only on flying... because this is what you'll be here for. 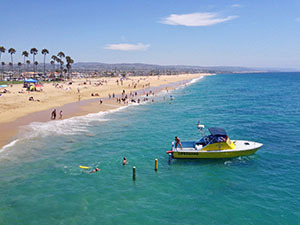 This is why we take care of your accommodation in a safe residential neighbourhood, walking distance from Torrance airport, shopping center, restaurants and food market, close to the beach and the scenic Redondo Pier. 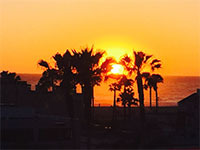 All you need to get the best of California lifestyle ! Please contact us well ahead of time to book your accommodation.